all mine! : Frameworks 5.0 is out! For the final release (this one, I mean) we had far less time than I had hoped - I wrote most of the announcement last Saturday (though we started a few days earlier and had our already-prepared communication plan) and we didn't really rally as much of our 'friends' to help promote the release as I had planned initially. And yesterday my internet broke down so in the end, Mario and Jonathan R had to put most of it live, half a day behind plan. But despite these issues, it did turn out quite well I think. Now the communication is done and it is up to the code to prove itself in real life! As I blogged before, I think this is a huge deal for Free Software on desktops AND mobile devices - it goes far beyond the KDE community. Qt is by far the largest Free Software ecosystem doing native (non-web, I mean) end-user software, but much of that is proprietary. Which makes sense - Digia and the other companies in and around Qt have to make money and don't have 'spreading Free Software' as their prime goal. 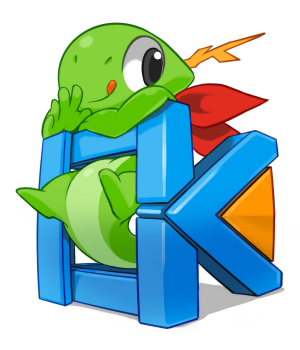 Frameworks introduces a genuine FOSS touch to that, hopefully bringing many of these developers in touch with the KDE community and the Open Source development processes.